Virtual Park awaits you with a unique, totally wireless experience! 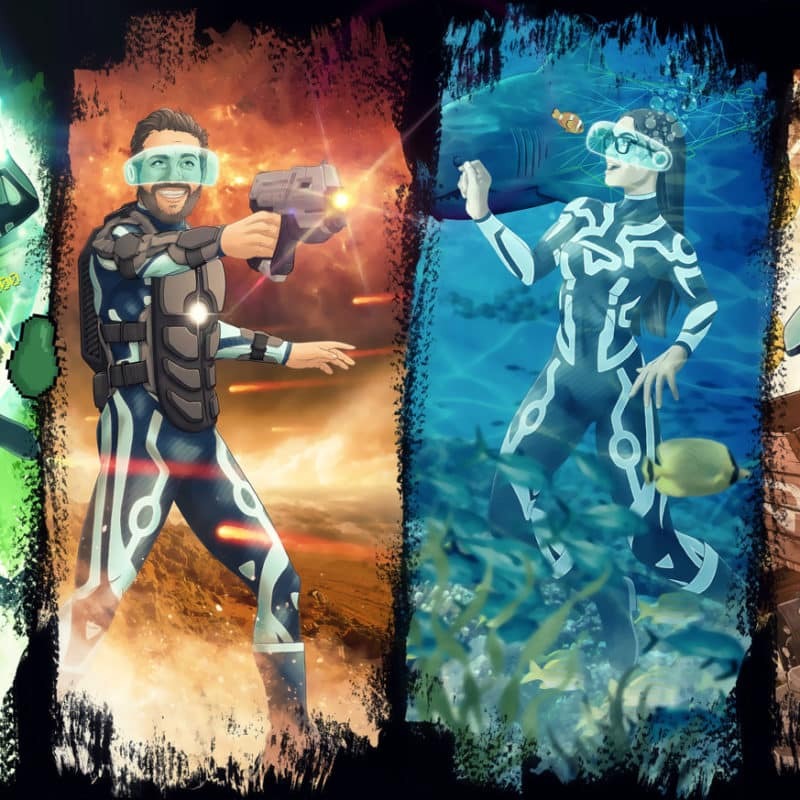 Discover seven extraordinary interactive adventures that plunge you into the amazing world of virtual and augmented reality. Treat yourself to an unforgettable day on your own, with your family, friends or colleagues, at a price that is affordable for all! 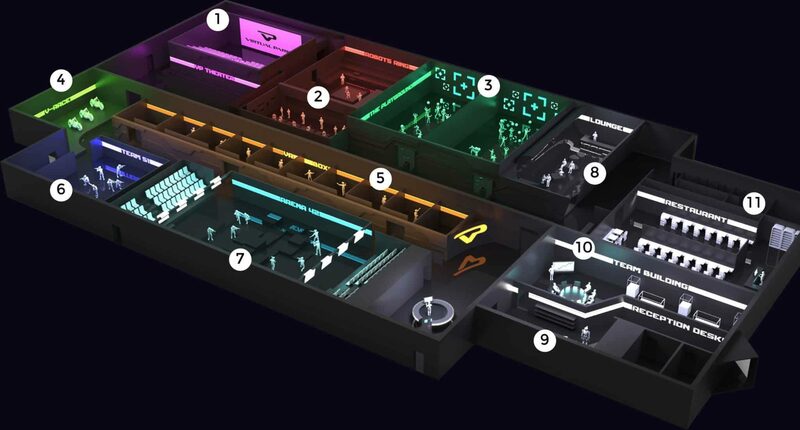 The 10 individual, 16m² cabins allow you to become familiar with virtual reality and progress at your own pace through a whole series of universes. Equipped with LÜ technology, The Playground is a smart space that understands and responds in real time to players’ movements and interaction. 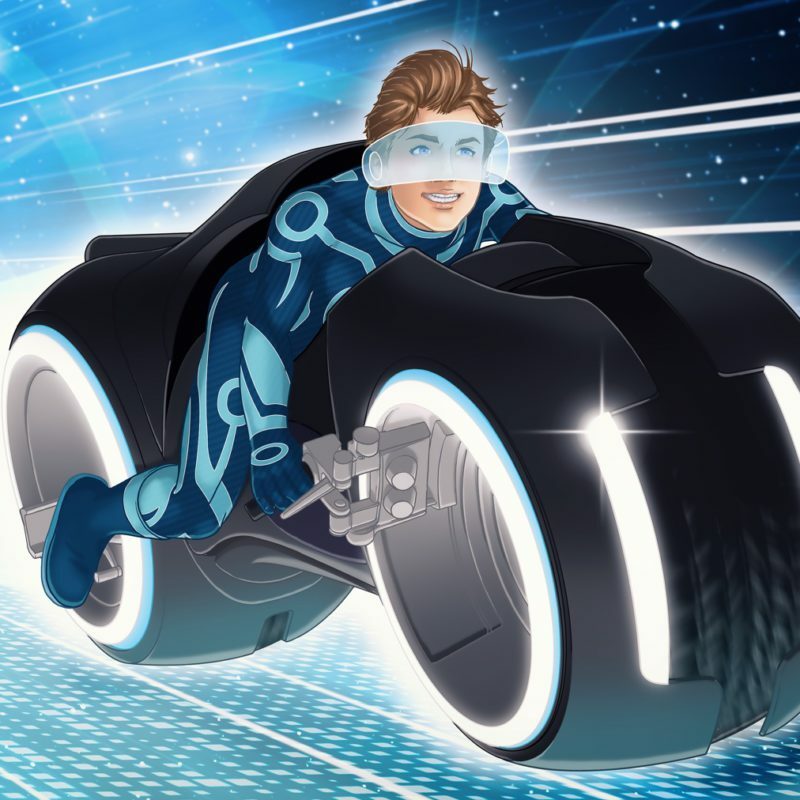 Don your suit, virtual reality helmet and jump on your racing bike. The track awaits you! 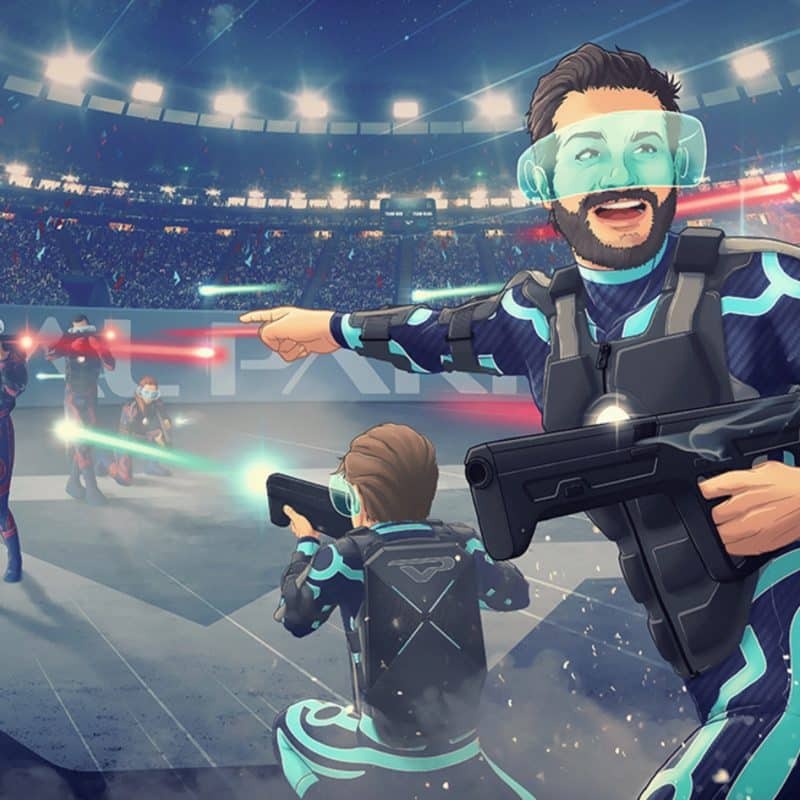 Equipped with Full Body Tracking technology that tracks the movements of the whole body in an ultra-precise manner, two teams of four players compete to conquer the planet Mars. 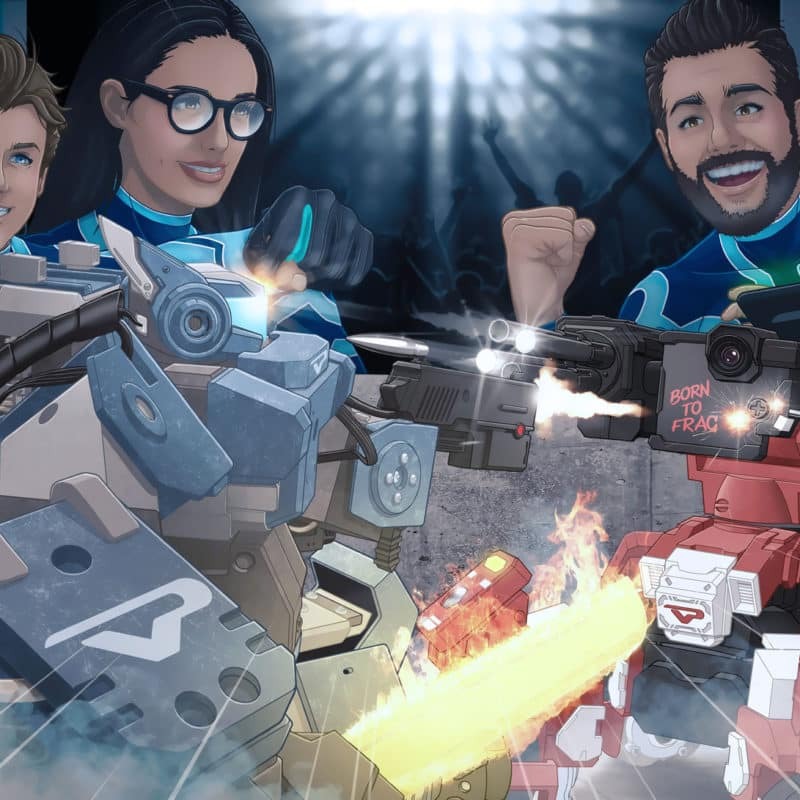 Choose your robot and compete in the arena, for the Virtual Park League Championship! 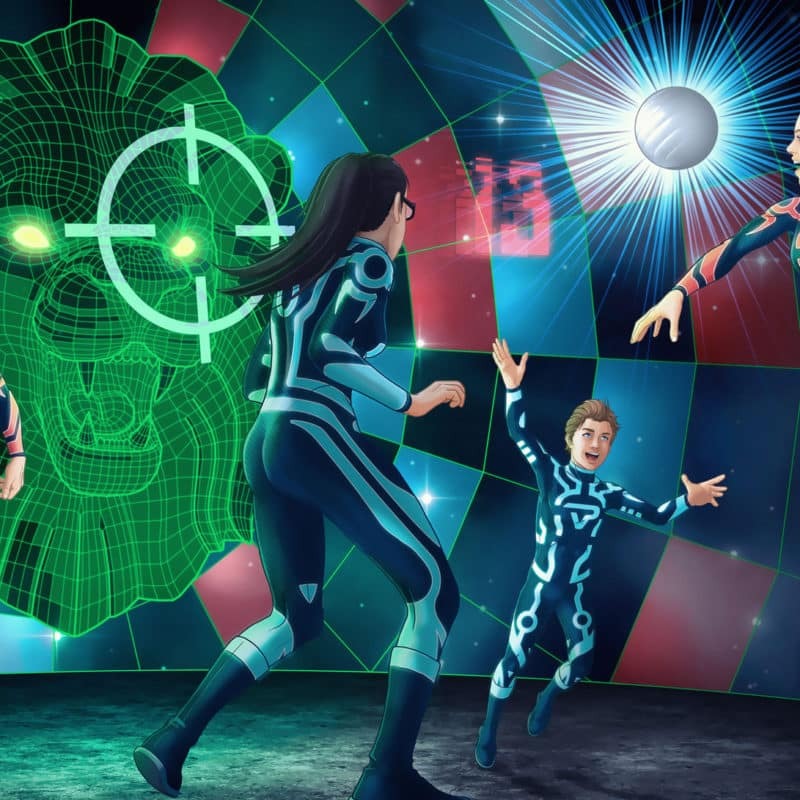 Train your robot for the match in an extraordinary futuristic setting. Are you ready to rise to the challenge? 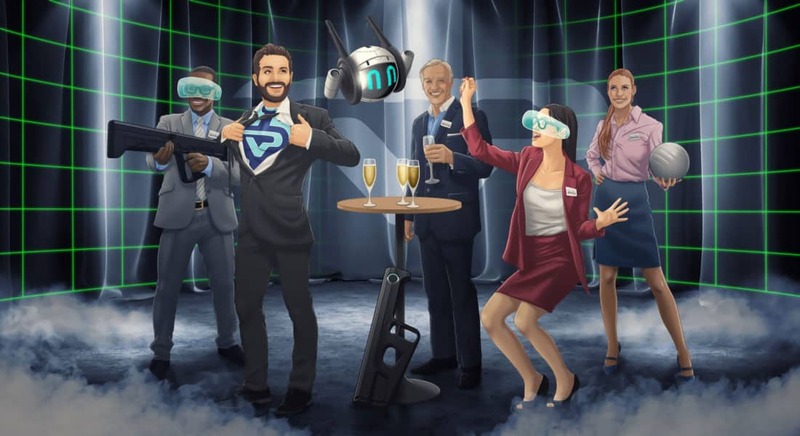 Much more than an amusement park, Virtual Park offers a unique, multi-sensory experience with VR games as well as activities. 360° immersion in a world of new digital experiences accessible to all. Discover a new world of leisure activities and embark on adventures beyond your wildest dreams! Interested in organising a team-building event? 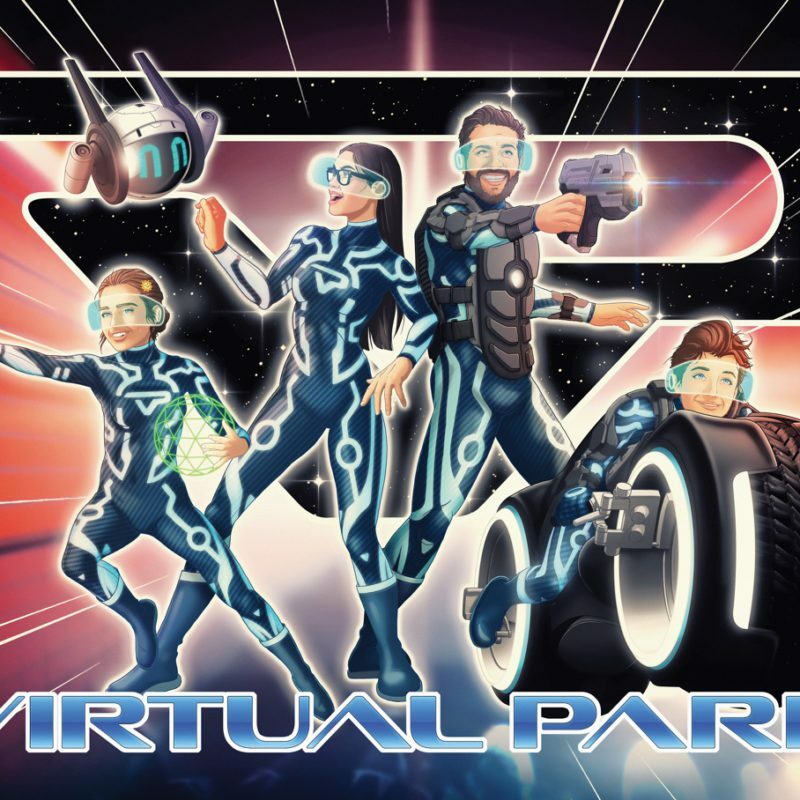 Virtual Park is the ultimate venue for providing your employees with a team-building day they will never forget. Are you looking for an event capable of strengthening ties between colleagues, developing cohesion, encouraging entrepreneurial spirit and solidarity among colleagues? At Virtual Park you can achieve all this and more. Stay informed about all the latest developments! Register for our newsletter so you don’t miss any of our special events and latest developments at Virtual Park! Stay wired (or wireless that is)!